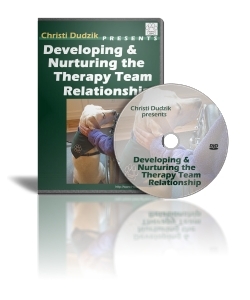 "a special kind of listening"
Christi Dudzik brings 20+ years of experience to her visiting animal classes, visiting and therapy animal hospital programming, and work with individuals experiencing dog fear. Classes are for volunteers wishing to visit in medical and/or educational settings, and for professionals wishing to incorporate their animals into their work. Visiting and therapy animal hospital programming is for medical facilities wishing to create a solid visiting animal program that includes best practices, infection control, risk management, and ongoing support. When working with individuals experiencing dog fear, the focus is on decreasing anxiety and increasing the overall feeling of safety when in the company of dogs. 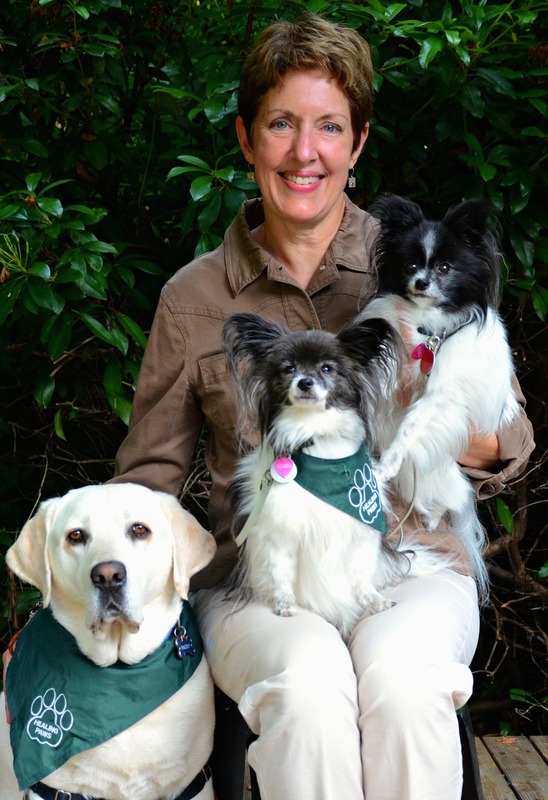 Christi Dudzik, Healing Paws president, with registered therapy dog, Paddy (yellow Lab), registered therapy dog, Ruby (Papillon on lap), and Cozy (Papillon being held), who continues to have no desire to be a therapy dog. For the latest on Healing Paws in the News, go to the News & Articles link. Visit our Secure Store page for a detailed description of this DVD and purchasing information. Day 1: "Focus for Therapy Team Visits - Increased Awareness" - Handlers, only. Saturday, August 11, 2018, 9 A.M. - 1 P.M.
Day 2: "Intentional Visiting - Practice Visiting Scenarios" - Handler and Animal. Classes focus on training volunteers and professionals to become therapy teams with their animals. Additional workshops are offered for professionals wishing to incorporate their registered therapy animal into their practice. Services are provided to health care facilities and/or to individuals. Animal Assisted therapy is conducted by a master-level, licensed counselor within the boundaries of their professional degree. The counselor works with their registered therapy animal, focusing on the client’s specific needs. Healing Paws Inc. assists facilities in starting and maintaining therapy animal programs, customized to meet their needs. We also consult with established facility programs to maintain program integrity. Healing Paws will share the importance of training, and the benefits of Animal Assisted Activites/Therapy at local and national health care and/or education conferences. Visit our SERVICES & TRAINING page to explore our Services and Training offerings.